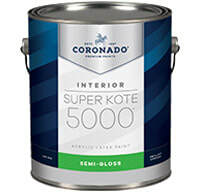 Super Kote 5000 Primer is a vinyl-acrylic primer and sealer for interior drywall and plaster. It is quick drying and is easy to apply. 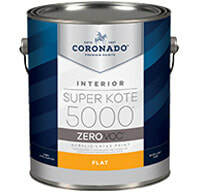 Super Kote 5000 Primer demonstrates excellent holdout, providing a strong foundation for latex or oil-based finishes. 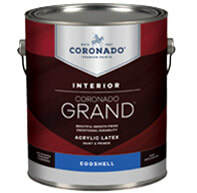 Coronado Grand™ is an acrylic paint and primer designed to provide exceptional washability, durability and coverage. Easy to apply with great flow and leveling for a beautiful finish, Grand is a first-class paint that enlivens any room. 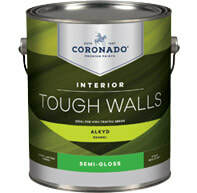 Tough Walls is engineered to deliver exceptional stain resistance and washability. The ideal choice for high-traffic areas, it dries to a smooth, long-lasting finish. 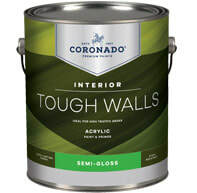 Add easy application, excellent hide and quick drying power, Tough Walls is your go-to interior paint and primer. Available in five acrylic sheens—and one alkyd formula—the Tough Walls line includes solutions for all your interior painting needs. Tough Walls Alkyd Semi-Gloss forms a hard, durable finish that is ideal for trim, kitchens, bathrooms, and other high-traffic areas that require frequent washing. Super Kote 3000 is newly improved for undetectable touch-ups and excellent hide. Designed to facilitate getting the job done right, this low-VOC product is ideal for new work or re-paints, including commercial, residential, and new construction projects. 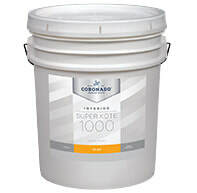 Super Kote 1000 is a quality-grade, vinyl-latex paint with low VOCs that provides good dry hide on interior wall surfaces. Not intended for areas that require frequent washing, this value-maintenance finish is ideal for rental properties and commercial sites. Super Kote 5000 Zero is designed to meet the most stringent VOC regulations, while still facilitating a smooth, fast production process. With excellent hide and leveling, this professional product delivers a high-quality finish. *Colorants added to this base paint may increase VOC level significantly depending on color choice. Contact your local Coronado Paint dealer for product availability, including sizes, colors, and sheens. 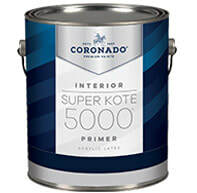 Super Kote 5000 is designed for commercial projects—when getting the job done quickly is a priority. With low spatter and easy application, this premium-quality, vinyl-acrylic formula delivers dependable quality and productivity. 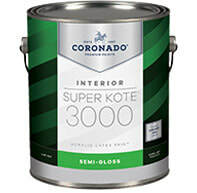 Super Kote 3000 Primer is an easy-to-apply primer optimized for high productivity jobs. Super Kote 3000 is ideal for use in rental properties. This high-hiding, fast-drying primer provides a strong foundation for interior drywall and cured plaster and can be topcoated with latex or oil-based paint.